Synopsis The Latchico Theatre Company are returning to the Green Room Theatre with their latest production "Sparrows". Additional Info "Sparrows" follows the lives of eight residents of a large London house at the turn of the twentieth century. The play begins on the day of Queen Victoria's death, and over the next couple of years, we watch as the older residents struggle with the changes that the Edwardian age brings. However, the younger members embrace the exciting new times, but they soon come to realise that change comes at a price. 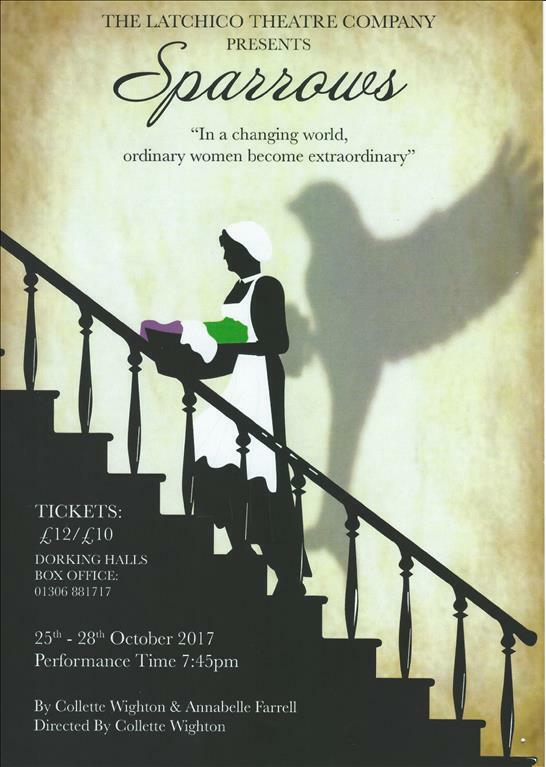 The play deals with unwanted pregnancy, forbidden friendships and the emergent Suffragette movement.